I was given a copy of Nopi by Ottolenghi and Scully for my birthday – squeak. I am torn I want to cook from it, but it is so beautiful and I am such a hands on, messy cook that I know it will get dirty and sticky and have a lovely used look. So what do I do? Keep it for idly reading or use and abuse it? Duh – I am using it, but I am trying to keep it clean. We have a lot of squash and we ate quite a bit of meat while my friends were here so I am returning to my vegetarian roots for a bit. 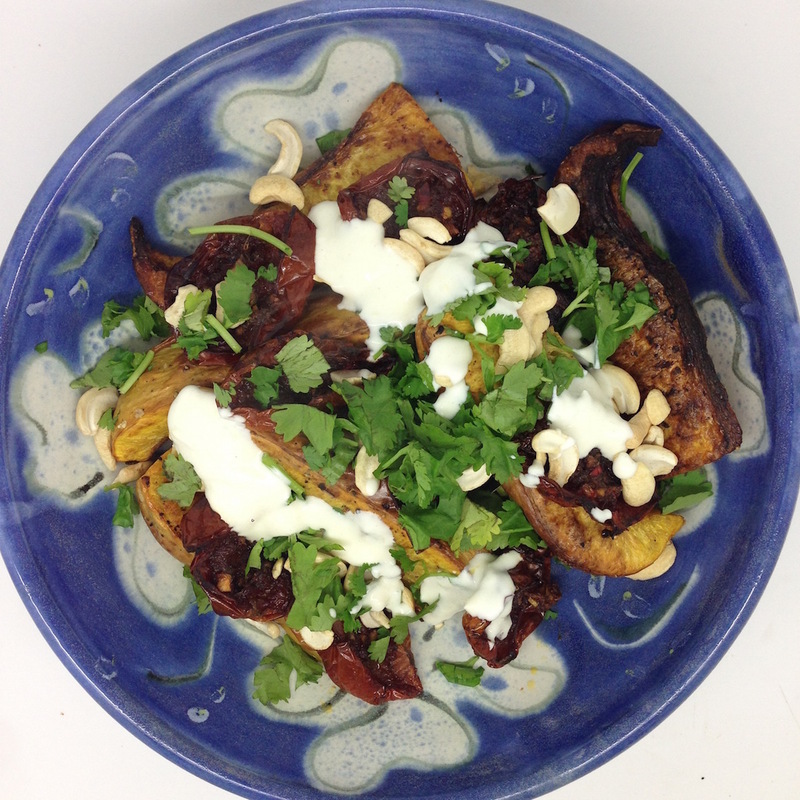 I made this squash dish from Nopi (page 22 if you are interested) for dinner on Saturday. It was very very good. 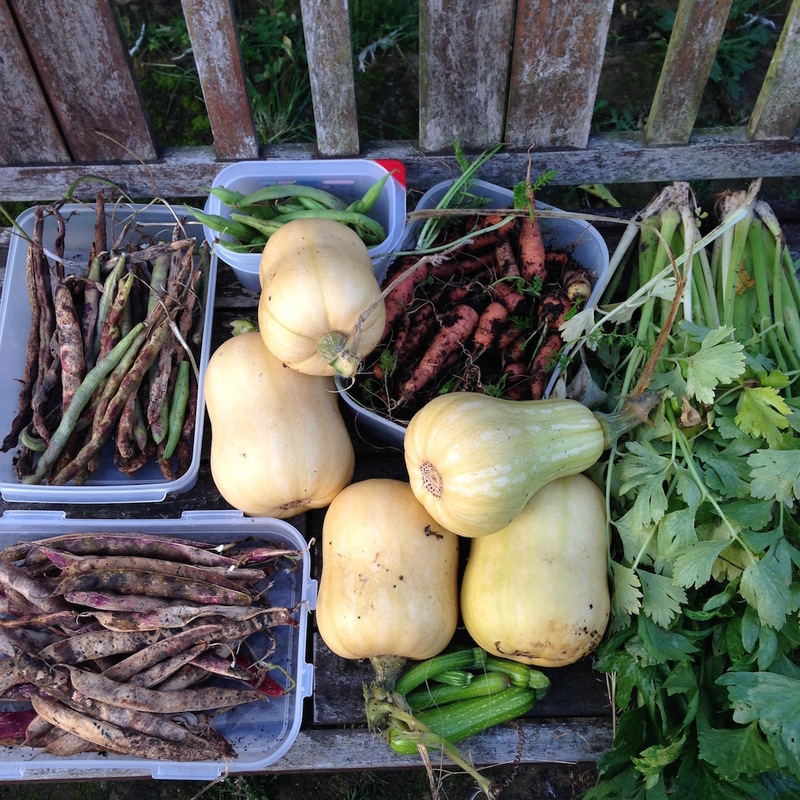 I think we will be eating it a lot not least because we have so much squash to get through. 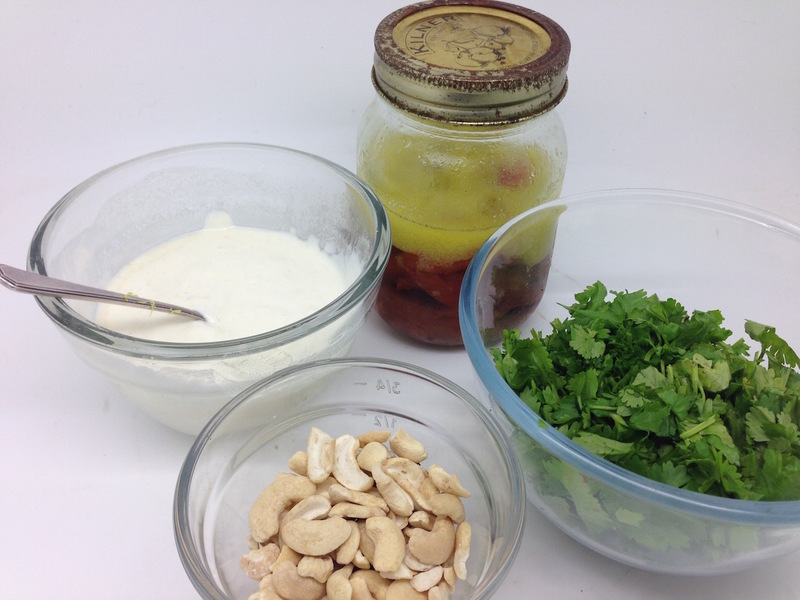 As a note – the recipe suggests using fresh tomatoes and oven roasting them from fresh. We don’t usually have squash and tomatoes together so I used tomatoes that I had oven dried earlier in the summer – see here for how. Below is my slightly amended version of the Ottolenghi original – amended as I am lazy, insist on using what we have on the smallholding (mainly), don’t have easy access to shops to pick up ingredients and not because it is any better than his which I imagine is divine. Butternut Squash with Ginger Tomatoes and Lime Yoghurt: Butternut squash deseeded and cut into slices – don’t peel, 12 halves of oven dried tomatoes, olive oil, 3cm piece of ginger – grated, 1 red chilli finely chopped, 2 garlic cloves – crushed, 30 g dark sugar, 120g Greek yoghurt, 1/4 tsp of ground cardamon, one and a half tsp of lime juice, fresh coriander, 30g cashew nuts. 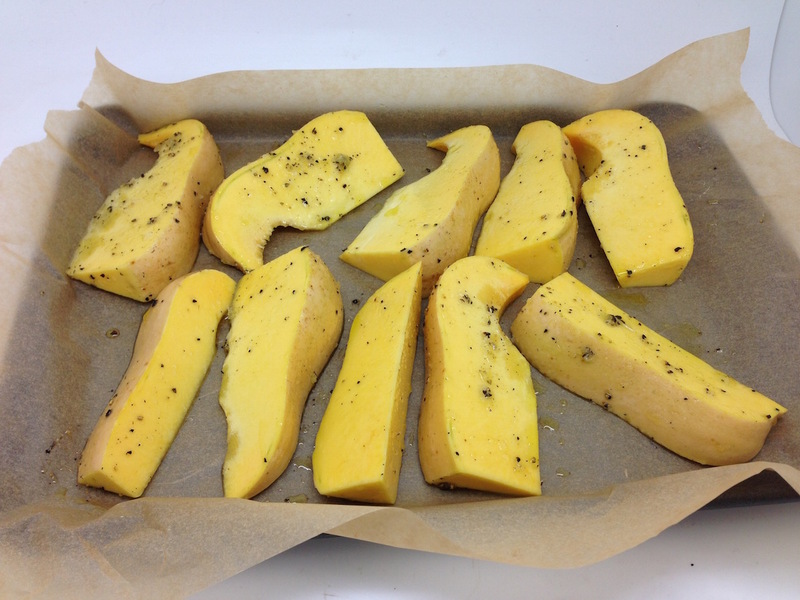 Mix squash with olive oil and salt and pepper. Roast in a hot oven (240C) for 35-40 minutes. 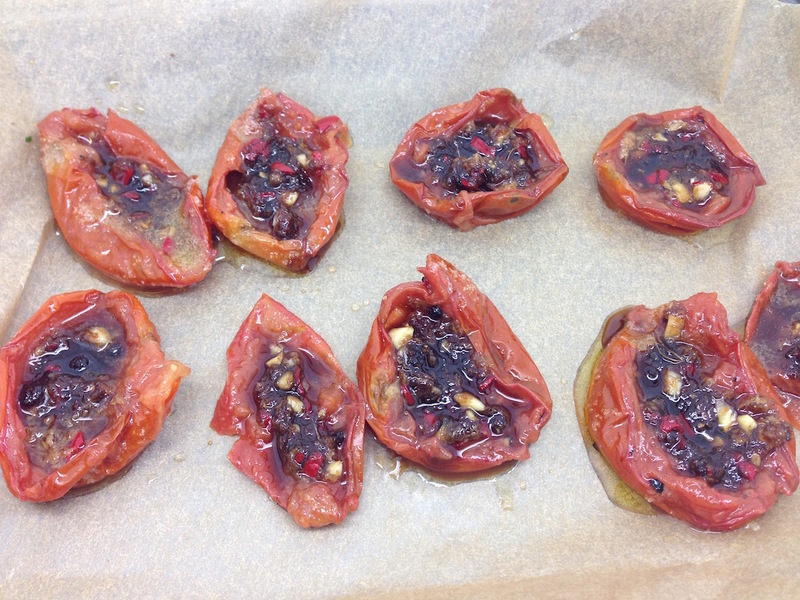 Put halves of oven-dried tomatoes on a baking sheet lined with baking paper. 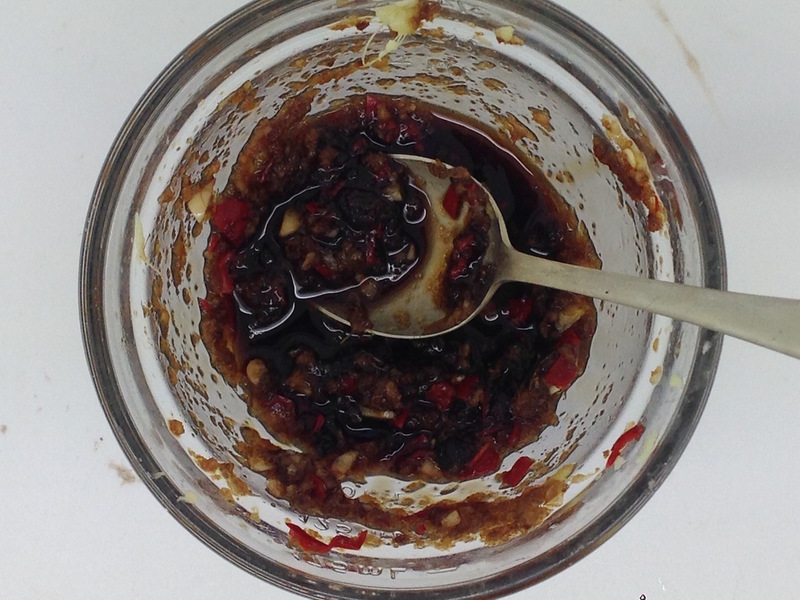 Mix the ginger, chilli, sugar and garlic together – add a little salt. Spread on top of the tomatoes and then cook for 30-40 minutes at 170C. To make the lime yoghurt, mix yoghurt, cardamon and lime juice together. 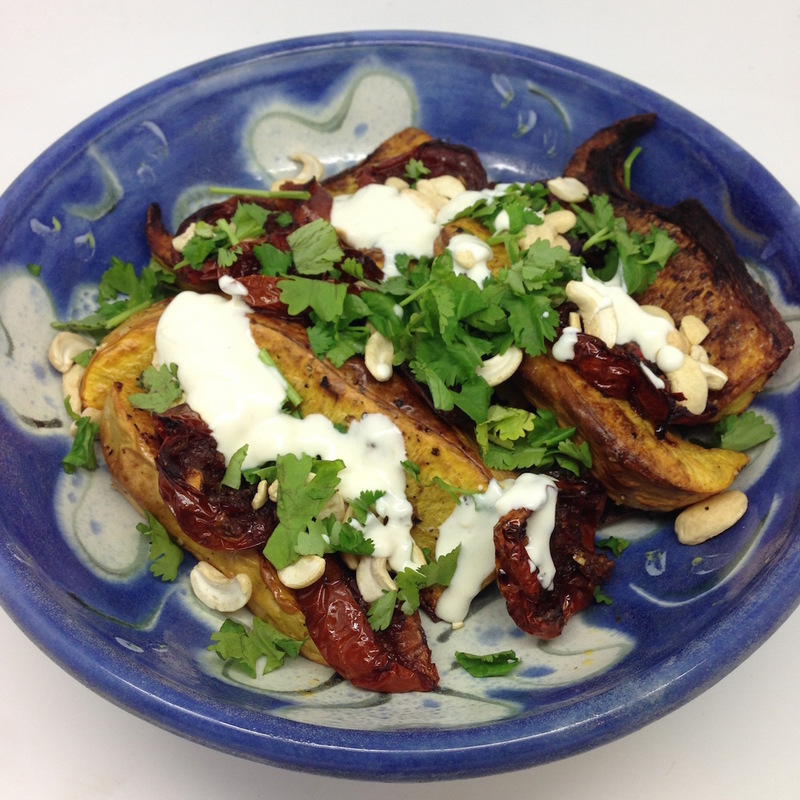 To serve, put squash in a bowl, arrange the oven dried tomatoes on top, sprinkle with fresh coriander and cashews and then drizzle over the yoghurt dressing. We had it with rice and black beans with some more coriander.